In yet another example of “going rogue,” Sarah Palin decided to disregard our advice. And she got booed. God bless the citizens of Erie, PA for this swift justice! On Thursday at a rally in Erie, Pa., Sarah Palin touted the victors in the World Series to thousands of supporters. 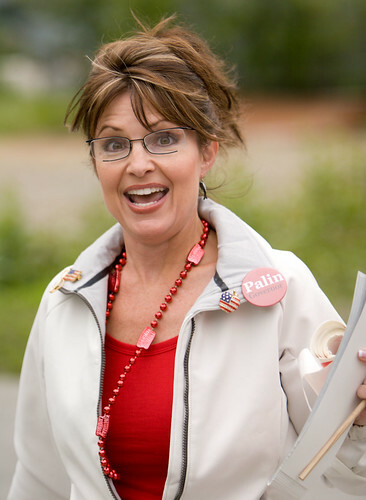 “I am thrilled to be here in the home state of the world-champion Philadelphia Phillies,” Palin said. Palin has been booed by Pennsylvania sports fans before. Earlier this month, the Republican vice presidential candidate was loudly heckled at a Philadelphia Flyers game. What were you thinking, Palin? Would you give props to the Anchorage Bucs while stumping in Fairbanks, home of the Alaska Goldpanners?? Of course not! Then why go out of your way to piss off (already wicked ornery) western Pennsylvanians by rubbing in their face that the liberal side of the state just took home a title, while the sorry Pirates traded their best players this season and got poop sandwiches in return? Politicians, stay away from baseball. It’s in everyone’s best interest.